Remember the days when you saw crazy people talking to themselves in cars? (or perhaps you were one of them). Turns out they had a Bluetooth headset stuck in one ear. 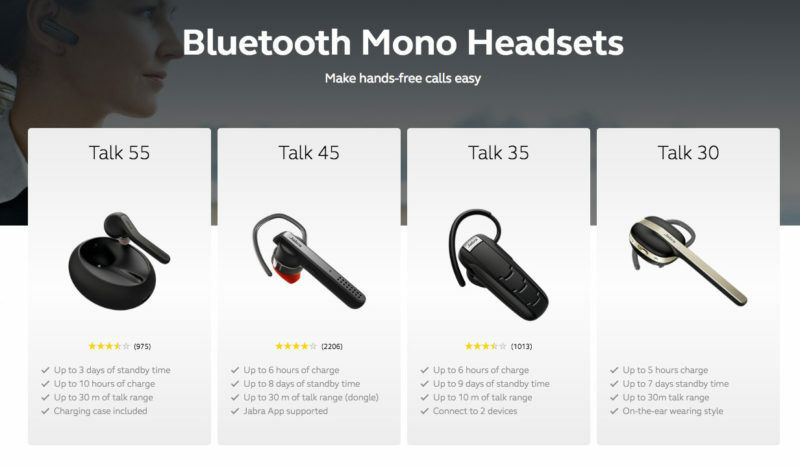 And when you think of Bluetooth headsets, one brand immediately comes to mind – Jabra. Jabra and I go back a long way back. Twenty years in fact. And guess what, Jabra was the first brand to introduce handy Bluetooth headsets to the world. It was the start to a whole new world of wireless communication, and it has not turned back since. The Danish brand has since dominated the enterprise and consumer space with its portfolio of innovative Bluetooth devices. How can you ignore the Jabra Evolve 75? Or the Elite 65t? Or perhaps the Eclipse and Stealth? Great products for consumers and businesses alike. Celebrating 20 great years of Bluetooth, Jabra is paying tribute to the technology by introducing a new range of Bluetooth mono headsets under a sub-brand called The Talk Franchise. The Talk Franchise will encompass renowned mono headsets like The Eclipse, Stealth, Mini and the BT2046. They deliver the same theme – crystal clear Talk. The series will be renamed accordingly – Talk 5, Talk 15, Talk 25, Talk 35, Talk 45 and Talk 55, the higher the numbers, the more features of the Bluetooth headset. Personally, while I feel the rebranding takes away the uniqueness of each product, it’s logical to streamline for brand consistency sake albeit in a little more generic manner.